eFORCE Civil Process Software gives you the ability to build your own dashboard, so you can view the information you care about most, all in one place, making you and your staff more efficient. Work for eFORCE Civil Process Software? Learning about eFORCE Civil Process Software? What Police solution do you use? LexisNexis Police Reports is a designed to help your agency automate the process of fulfilling requests for accident reports in a manageable amount time that allows you to alleviate the administrative tasks associated with keying, storage and retrieval, and more. eAgent Solutions offers CJI data access solutions for the criminal justice community. CIS Records Management System allows you to automate your record management functions of your agency by providing simultaneous online use in records, dispatch, detective bureaus, and more. Zuercher Suite is an integrated public safety software system that provides computer-aided dispatch, mapping, records management, jail management and more within one database. IBM i2 COPLINK is police investigation software that consolidates data from many sources, aids collaboration and helps generate tactical leads quickly. Used to generate photo lineups, analyze map data, save search history, and create/export reports in National Incident Based Reporting Standard (NIBRS) formats to the US FBI, i2 COPLINK is modular police software. There is an entry-level core configuration on cloud designed for small-medium sized agencies. The full COPLINK suite can be tailored on premise and on cloud with a variety of optional capabilities. Versaterm RMS is a records management system with integrated CAD and mobile workstation to help manage the flow of information with features to help you manage your agencies data and records. Acadis Readiness Suite is a training management solution that helps manage operational tasks and addresses the challenges facing public safety and homeland defense to help manage training, resources, equipment and more. 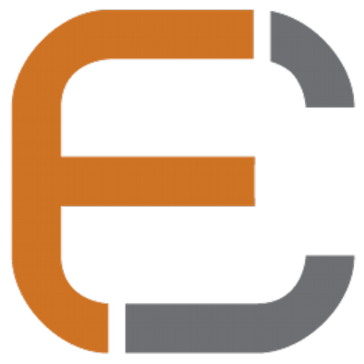 * We monitor all eFORCE Civil Process Software reviews to prevent fraudulent reviews and keep review quality high. We do not post reviews by company employees or direct competitors. Validated reviews require the user to submit a screenshot of the product containing their user ID, in order to verify a user is an actual user of the product. Hi there! Are you looking to implement a solution like eFORCE Civil Process Software?